Adobe, the company behind the popular Flash format, has decried Apple's decision to not incorporate Flash support into its recently-unveiled iPad tablet. 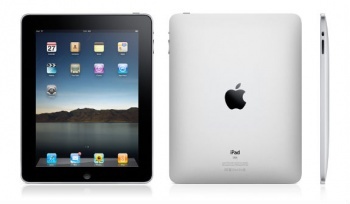 Yesterday, Apple unveiled its latest almost-guaranteed-to-sell-a-hozillion-copies gadget, the iPad. Reactions seemed mixed, with the Apple diehards predictably loving it, some not sure what to make of it, and others lambasting it for what they saw as design flaws (like a lack of multitasking support, for one). Another perceived flaw (albeit one present in the iPad's predecessors like the iPhone and the iPod Touch) is that the device does not support Adobe's popular Flash format, meaning that many online videos and games are unplayable when browsing the internet via the iPad. In a statement on the Adobe website, the Flash parent called Apple's choice restrictive, intended to limit content on the iPad only to that supported by Apple's own DRM. If I want to use the iPad to connect to Disney, Hulu, Miniclip, Farmville, ESPN, Kongregate, or JibJab -- not to mention the millions of other sites on the web -- I'll be out of luck. From Apple's point of view, though, it does make sense - if I want to encourage someone to go to the App Store to buy my games, why would I give them the ability to just play games free via the web? Is the lack of Flash really a dealbreaker? Or is Adobe just making noise over a perceived snub via Apple's latest shiny toy?